How Did Christmas Trees Began? This is what the modern Christmas tree looks like today. They come in all different sizes to suit the house or apartment. The Christmas tree can be fir, pine or spruce. And even an artificial one. Of course the first trees that were brought into the home during this holiday season was a real tree. This tree was decorated in homemade ornaments. Perhaps a string of popcorn or cranberries used as garland. Candles were added to the tree. It was a pretty site to see. Why do we decorate the Christmas tree? There are some variations on how the how the Christmas tree history began. The habit is probably inherited from the Egyptians that used to decorate their houses with palm tree leaves in the day of the astrological winter. This habit was taken by the Romans that used instead of palm trees the conifers. But the story really begins around the 7th century when a monk from Crediton, Devonshire, went to Germany to teach the word of the Lord. Legend says that he used the triangular form of the Christmas tree to symbolize religious meanings. In the Europe of the 12th century, on Christmas day, the Christmas tree was installed upside down, hanging down from the ceiling! It appears the tree was first decorated at Riga in 1510. At the beginning of the 16th century, Martin Luther decorated the tree with candles to suggest to his children the sparkling of the stars in the sky. At the middle of the 16th century, in Germany, appear the first markets specialized in selling presents for Christmas, usually food or objects of practical use. Christmas decorations that were meant to suggest snow were invented in Germany in 1610. At that time not only they were silvery, but they were also made out of silver. There were invented machines to make thin silver strings for the tree. Silver lasted long but it oxidized very quickly, so they tried to ally it with cooper and zinc, but the product was so heavy that it just broke under the action of his own weight. So silver was used till the middle of the 20th century. In Great Britain, the Christmas tree came along with merchants that originated from Germany and settled in England. Decorating the Christmas tree meant silver ornaments, candles and pearl-like ribbons all produced in Germany and Eastern Europe at the time. The custom said that every family member or invited person had to have a little tree placed on the table in front of him, with the presents besides it. 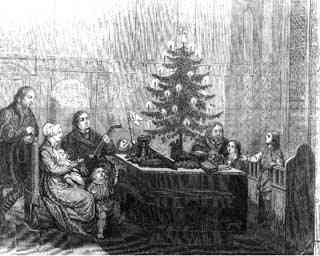 In 1846, Queen Victoria and Prince Albert - both born in Germany - appear in "Illustrated London News", along with their children, all around the Christmas tree. The popularity of the regal family made this custom to spread fast among the people. The tree became a fashion matter not only in the Britain Islands, but also on the eastern coast of America. Decorations were of a huge variety. Mostly home made because they were expensive at the time. Young ladies spent hours cutting paper snowflakes and stars, folding presents envelopes and paper supports for candy. 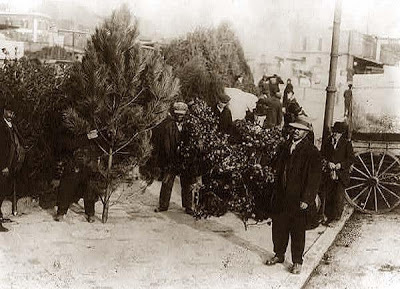 In America, the Christmas tree appears around 1747, in German communities from Pennsylvania, but it spreads only along with the development of communications, at the middle of the 19th century. In 1879 the electric light bulb was invented by Thomas Edition. In 1882, Edward Johnson, as associate of Thomas Edition was the first to electrically light Christmas tree. 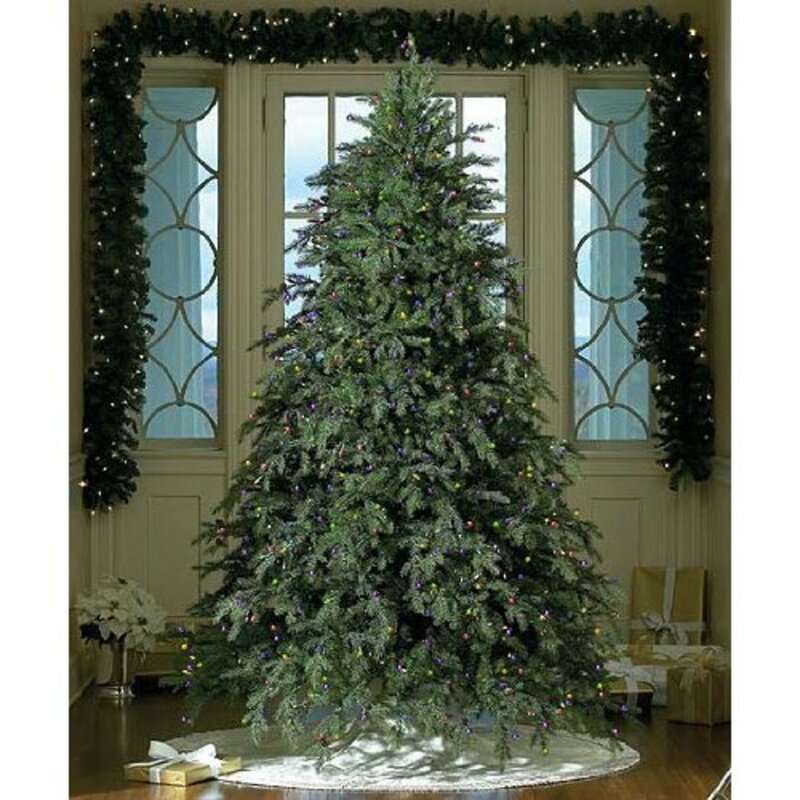 Present day, we have a variety of firs, pine and spruces to pick from. Plus all the different type of artificial Christmas trees. When I was a little girl, my family would drive out into the country where we would cut our own Christmas tree. Once we were there, it became a long process. My father was a perfectionist and was quite picky. It couldn't be just any tree. It had to be the best one out there. We would search for what seems like hours. I would watch people come after we did and leave long before, with their non-perfect tree. Often we would return to where we first started, my father saying, "I guess, this one will have to do!" with the disappointment ringing from his voice. 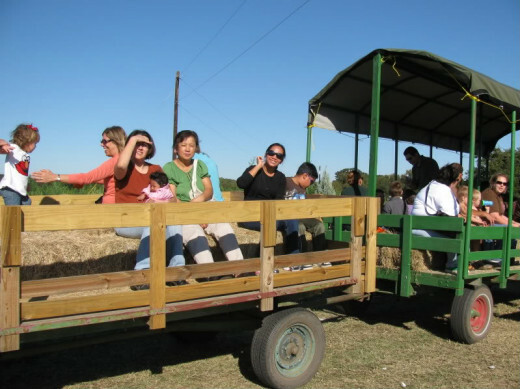 After this entire ordeal, we would drink hot cocoa and take the hay ride that was offered on farm. The hot cocoa was so warming after spending a good deal of the day searching for that perfect tree. Our legs were so tired, that the squares of hay, which we sat on felt more, like a cushion of feathers. Sometime in my teenage years, we bought our first artificial tree. From there my parents never went back to the real thing. I couldn't help but sense my dad's disappointment of not going back to the tree farm those first few years with the artificial one. I often look back at those days. It was more than looking for a Christmas tree. It was our family tradition. It was a good time in life, still newlyweds, both doing little things for each other. We were carefree, with no children, no huge debts or aches and pains. We were invincible. Our looks were important to us, we were in shape and being healthy was cool. My husband and I lived in a small apartment in California, far away from any of our families. I left my family from the beautiful state of Washington and his from Wisconsin. He was in the service and stationed at Camp Pendleton. It was our first Christmas together, just the two of us. We had set up a space in our little apartment for the Christmas tree. Now was the time to search out for that perfect tree. We lived in a small retirement town. Everything seemed more expensive. Even for back then, in the good old days. We were on a budget, which made it harder to find that perfect tree. We went from one tree lot to the next. The more we looked, the more disappointed we became. After searching for what seemed like hours and the last tree lot in town. A young man working on the lot came over to us. He said that he was secretly pocketing some money on the side. He offered us a nice looking tree that had a $25 tag on it for $1. It wasn't until we moved the tree to our car, that we noticed it was very sparse in the back. Once in the apartment, we placed it in the corner. It was our Charlie Brown Christmas tree. After we had decorated it, you would have never known that it was branch less in the back. It was perfect! Just like in "A Charlie Brown Christmas." It turned out to be one of our best Christmas trees ever. Now that you have your tree decorated, what comes next? Of course setting up the outside lights! 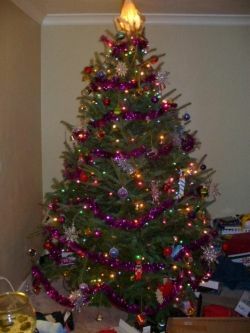 Do you plan on having a real tree or an artificial tree for Christmas? Has to Be the Real Thing! Did you see Fern Guile? Artificial tree all the way. One of the largest selections of informational ebooks. We offer an amazing variety of 200 affordable quality $1.00 ebooks and very inexpensive software. Free ebooks, advertising links, social networks to join and home business opportunities. both by Sandyspider on Zazzle. Click on these links above to go there. Christmas trees that light up the town and the White House are so beautiful with their bright white and colorful lights. 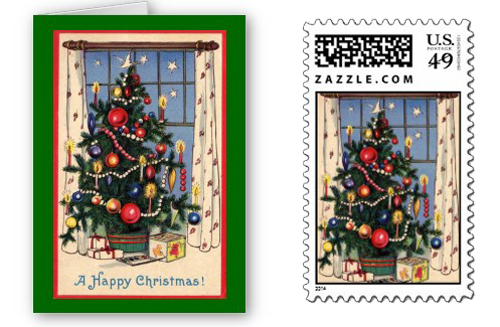 A decorated tree in the home for display (which many people begin this right before Thanksgiving), looks so festive and adds to..
Christmas tree ornaments from Zazzle and Sandy Mertens on 3DRose are unique custom print on demand ornaments that you order online. Tees for the holidays, that wish a Merry Christmas, brings a smile on anyone's face. Especially if they are ornamental shirts that are uniquely designed with fancy and fun text suited for Christmas. A to Z You & Me Shop (atozunme) on Zazzle, the. Candy recipes of fudge, penuche, carmel and divinity are featured in the article. Family candy recipes that melt in your mouth. Wonderful for the Christmas holiday or anytime. Custom decorative Christmas plates are so lovely to have as part of the holiday decorations. Give the lady in your life a special porcelain plate with the baby Jesus or a special theme. Funny and wacky Christmas songs for a joyous listening. These songs will make you laugh as you sing along. What's Your Christmas Tree Memory? - Leave a comment to let me know you were here! Thanks for visiting! Ardhendu Dey Thank you. I did want to get all the history facts in. Interesting lens, i did not know Christmas tree's history would be very much interesting. Thanks. HI! I didn't know the history facts, this is a lens with a lot of info, and I like your presentation.Stardust Blessing your lens. Loved the story of your first tree! 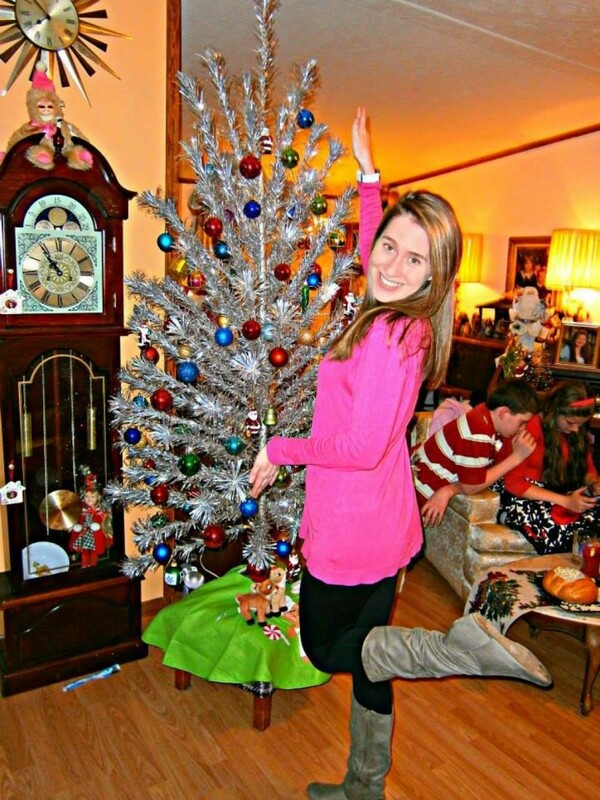 The best Christmas Tree Memory I can remember was the time I saw some knock the tree over while dancing. I wish I would of had a video of that. One of the funnest thing I ever saw. They tried like three time to get to stand back up. Lots of great stuff here. 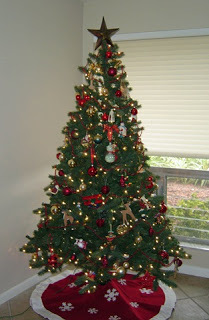 Lensrolling to my Best Artificial Christmas Trees - though we do always have a real one! I Love Xmas trees and I am surprised that it has ancient Egyptian origin. I have always thought that it was some Scandinavian thing with all the evergreens in December . We always bought our trees and they never were higher than my mom :) ...It always saddened me when we had to throw it . I love Andersen's tale on the fir tree ..
Nice lens Sandy. I need to link this lens to my VintageChristmasDecor lens.I'm learning a ton from you Squidoo vets, really fast. Love the glass block Christmas present idea! 5*s all the way! Great pictures - the second one looks like Macy's Square in New York. Always nice to learn more about our traditions. Absolutely a great lens. I was so impressed! at his dad's farm. He always chose such a pretty one! Many thanks for a fascinating lens! Christmas is over. It hated taking down the tree. I love the lights. Very nice lens. tons of info and great pictures. Thanks for sharing this! Congratulations on your win too. 5 stars and rolled to "The Sacred Tree of Life". so that's how the tree of Christmas came to be?.. wow.. The glass boxes are new to me. Neat. Wonderful Lens. I love the glass boxes as well. I learned a few things today about the christmas tree. I just printed out the free Christmas coloring book. It is about twice the size of a Christmas coloring book I spent a buck on the other day - and much nicer! Great gfit - thank you! Thanks for visiting my lens about "25 Inexpensive ways to celebrate Christmas". Now its finished! and you can see your lens being featured there. 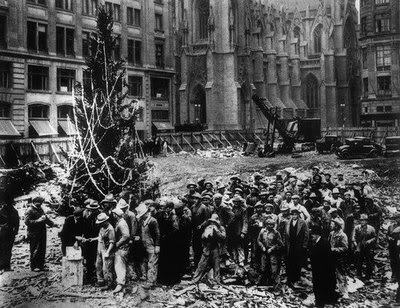 Interesting to learn the history of the Christmas Tree. Great lens. This is wonderful and full of information as well as your beautifully told personal stories. I really enjoyed it and am lensrolling to my Christmas Tree In The White House lens. Thank you. Very pretty and seasonal lens, Sandy! beautiful lens! this would be useful to my new lens "25 inexpensive ways to celebrate Christmas"
What a thorough lens - I learned a few things! I'll be sharing the link to this lens in my coloring pages blog also - the free coloring pages PDF is great! great lens on christmas Trees. trully loved it. Thanks for the nice lens on Christmas trees. I share my own Christmas stories at http://www.squidoo.com/adventuresinparenting I will lens roll your lens to mine. Great job!